We made a mistake, we travelled on a Red traffic day. 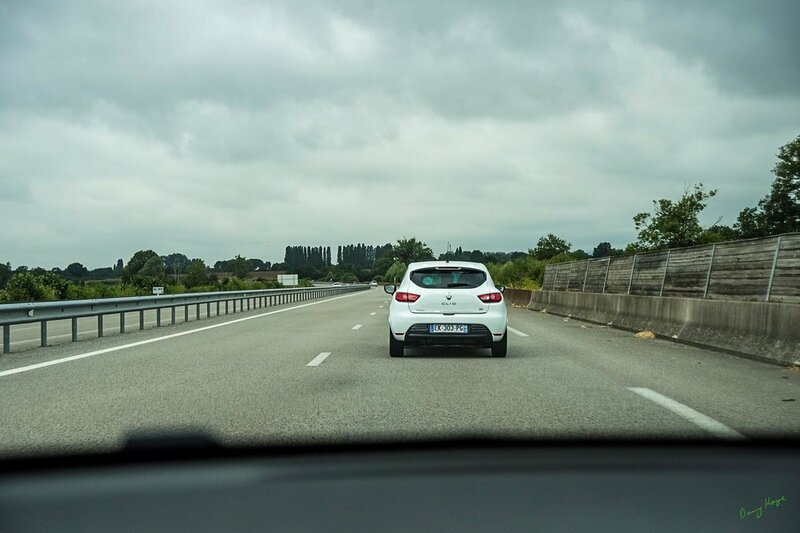 This is what we expect on a French motorway, the nearest cars are way in front of us and disappearing round the next bend, in fact this is crowded compared to the norm. This is the view from a French motorway service station, the food is excellent too. This is a Peage toll booth on a red day, normally there is at least one lane free. We finally got to Blanzay, here are Sofia and Dave terrorising a busy French street.